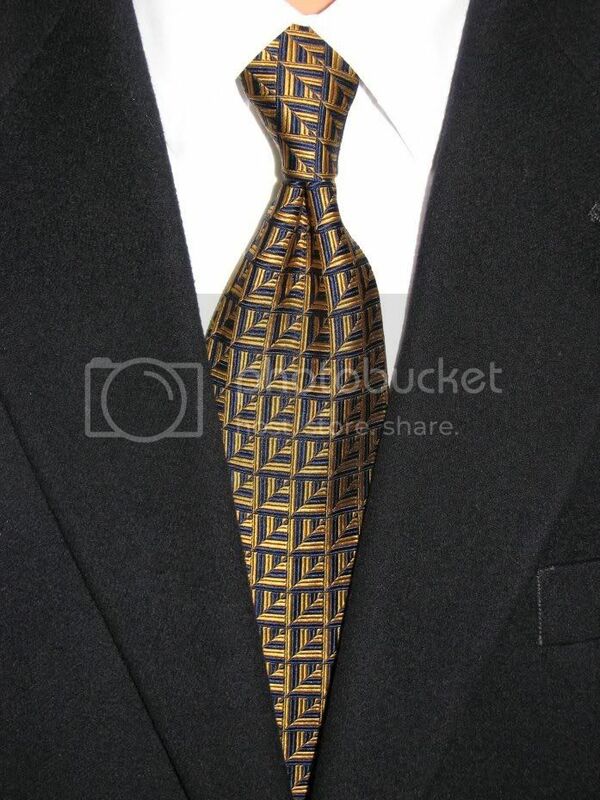 The necktie is a little different. Sort of. It's not a Jos A Bank Signature, for one. It is, however, a Ferrell Reed City of London. It is the very first one that I acquired and the reason I acquired so many more. If it's not the first then it's very close to it. It's a really nice combo of navy and gold with a fairly interesting (if very repetitive) pattern. I usually conglomerate it with a blue stripe but decided to stay fairly plain with a white spread collar. Of course the navy sport coat got the assignment to round out the conglomerating. That's about it. It's late and my drastic change in schedule is starting to catch up to me. I'll be taking a break from conglomerating tomorrow and seeing what all the fuss is over Casual Friday. I've got to try it at least once, don't I? Not to worry. I will be conglomerating something brand new on Sunday.